37.286 Stockfotos, Vektorgrafiken und Illustrationen sind lizenzfrei verfügbar. Set of 120 Icons. Fruit, Vegetables, Food themes. Color Flat Design. Vector Illustration. 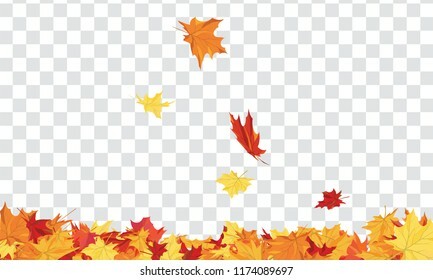 Autumn Frame With Falling Maple Leaves on transparency (alpha) grid background. Vector illustration. Don't disturb tag icon. Flat color design. Vector illustration. Hunting Vintage Emblem. 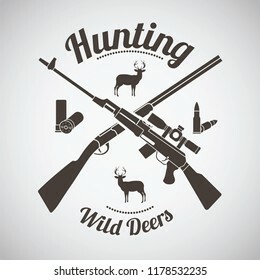 Crossed Hunting Gun And Rifle With Ammo and Deers Silhouettes. Dark Brown Retro Style. Vector Illustration. Mushroom icon. Flat color design. Vector illustration. Electric guitar icon. Thin line design. Vector illustration. Flat design icon of camping family caravan car in ui colors. Vector illustration. Construction jackhammer icon. Flat design. Vector illustration. Construction paint brushes iconf. Flat design. Vector illustration. Crocodile clip icon. Flat color design. Vector illustration. Icon of photo film drying on rope with clothespin. Thin line design. Vector illustration. Fireworks icon. Thin line design. Vector illustration. Paint blot icon. Subtract stencil design on tranparency grid. Vector illustration. DNA icon. Flat color design. Vector illustration. Medicine sign icon. Flat color design. Vector illustration. 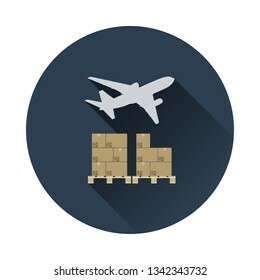 Product Release Icon on gray background, round shadow. Vector illustration. Fireworks icon. Shadow reflection design. Vector illustration. Icon of curved fishing tackle. Shadow reflection design. Vector illustration. Jack-plane tool icon. Flat color design. Vector illustration. Bath duck icon. Flat color design. Vector illustration. American football game plan stand icon. Shadow reflection design. Vector illustration. Icon of slab hanged on crane hook by rope slings . White background with shadow design. Vector illustration. Feather and scroll icon. Flat color design. Vector illustration. Roller coaster loop icon. Flat color design. Vector illustration. Motorcycle icon front view on gray background, round shadow. Vector illustration. Train icon front view on gray background, round shadow. Vector illustration. Circular saw icon. Orange background with black. Vector illustration. Icon of acoustic guitar. Thin line design. Vector illustration. Icon of slab hanged on crane hook by rope slings . Black background with white. Vector illustration. Cricket wicket icon. Flat color stencil design. Vector illustration. Warehouse forklift icon. Flat color with shadow design. Vector illustration. Boxes on pallet under airplane. Logistic concept icon. Flat color with shadow design. Vector illustration. Pram icon. Flat color design. Vector illustration. Bib icon. Flat color design. Vector illustration. Pipe valve icon. Flat color design. Vector illustration. Electric meter icon. Flat color design. Vector illustration. Whistle icon. Flat color design. Vector illustration. Cinema auditorium icon on gray background, round shadow. Vector illustration. Hand wiping window icon. Flat color design. Vector illustration. Wrench and faucet icon. Flat design. Vector illustration. Hay stack icon. Flat color design. Vector illustration. Water tower icon. Flat color design. Vector illustration. Garden scissors icon. Flat color design. Vector illustration. Humidity icon. Flat color design. Vector illustration. Hiking boot icon. Flat color design. Vector illustration. Set of 24 Cricket Icons. Monochrome color design. Vector illustration. Icon of Construction jackhammer. Flat color design. Vector illustration. Policeman icon. Flat color design. Vector illustration. Police handcuff icon. Flat color design. Vector illustration. Police car icon. Flat color design. Vector illustration. Piano circle keyboard icon. Flat color design. Vector illustration. Night club security icon. Flat color design. Vector illustration. Hotel boy icon. Flat color design. Vector illustration. Sun and thermometer with high temperature icon. Flat color design. Vector illustration. Wipe car window icon. Flat color design. Vector illustration. Oil canister icon. Flat color design. Vector illustration. Hydraulic jack icon. Flat color design. Vector illustration. Icon of retro film photo camera. Thin line design. Vector illustration. Old telephone icon. Thin line design. Vector illustration. 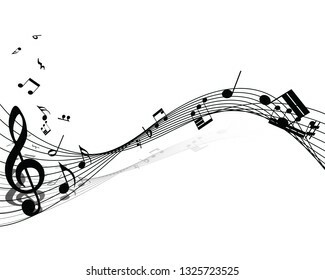 Musical note staff. EPS 10 vector illustration with transparency. Icon of football boots. Thin line design. Vector illustration. Icon of football medical staff carrying stretcher. Thin line design. Vector illustration. 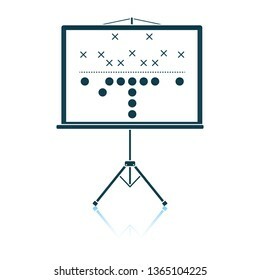 Icon of football coach tablet with game plan. Thin line design. Vector illustration. Icon of Construction bulldozer. Thin line design. Vector illustration. Icon of screw and nail. Blue frame design. Vector illustration. Icon of Pipe with valve. Thin circle design. Vector illustration. Party sparkler icon. Thin line design. Vector illustration. Party serpentine icon. Gray background with green. Vector illustration. Baseball glove icon. Thin line design. Vector illustration. Potato icon. Gray background with green. Vector illustration. Set of 24 Tools Icons. Monochrome color design. Vector illustration. Icon of pipe with valve. Gray background with green. Vector illustration. Icon of slab hanged on crane hook by rope slings . Flat color design. Vector illustration. Electric plug leaves icon. Flat color design. Vector illustration. Icon of construction excavator. White background with shadow design. Vector illustration. Violin icon. Thin line design. Vector illustration. Cinema auditorium icon. Thin line design. Vector illustration. Ceremony ribbon cut icon. Thin line design. Vector illustration. Two football tickets icon. Flat color design. Vector illustration. Pliers tool icon. Glossy Button Design. Vector Illustration. Barrel With Wheat Symbols Icon. Thin Line With Red Fill Design. Vector Illustration. Wheat With Drop Icon. Thin Line With Red Fill Design. Vector Illustration. Garbage Containers With Separated Trash Icon. Thin Line With Red Fill Design. Vector Illustration. Hand Holding Leaf Icon. Thin Line With Red Fill Design. Vector Illustration. Hands Holding Planet Icon. Thin Line With Red Fill Design. Vector Illustration. Corn Icon. Thin Line With Red Fill Design. Vector Illustration. Water Faucet With Dropping Water Icon. Thin Line With Red Fill Design. Vector Illustration. Wind Mill With Leaves In Blades Icon. Thin Line With Red Fill Design. Vector Illustration. Garbage Car With Recycle Icon. Thin Line With Red Fill Design. Vector Illustration. Electric Plug With Leaves Icon. Thin Line With Red Fill Design. Vector Illustration. Ecological Tree With Leaves Icon. Thin Line With Red Fill Design. Vector Illustration. Car Battery With Leaf Icon. Thin Line With Red Fill Design. Vector Illustration. Plant In Flower Pot Icon. Thin Line With Red Fill Design. Vector Illustration. Ecological Industrial Plant Icon. Thin Line With Red Fill Design. Vector Illustration. Electric Tower With Leaf Icon. Thin Line With Red Fill Design. Vector Illustration. Garbage Container With Recycle Sign Icon. Thin Line With Red Fill Design. Vector Illustration. Ecological Handshakes Icon. Thin Line With Red Fill Design. Vector Illustration. Ecological Home With Leaf Icon. Thin Line With Red Fill Design. Vector Illustration. Ecological Bike Icon. Thin Line With Red Fill Design. Vector Illustration.